Moving to a new place is something that can never be dealt with carelessness. It is a big, troublesome change that will consume a lot of time and energy to complete. Every task starting from planning to packing, loading, unloading is labor-intensive. Quite honestly, doing it yourself might not be a fun chore. Instead hiring professional movers Bayswater could be a better idea as it can save you a lot of tension and eliminate the hassle. 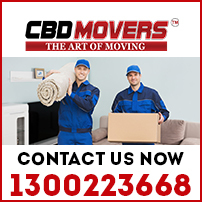 We, the CBD Movers™, Melbourne are known for our first-class removal services with well trained support staff. We provide best moving solutions and make sure that you enjoy a calm and tense free relocation. Our well experienced removalists staff packs and picks up all the goods from your place and loads and unloads it safe and sound to the desired destination. 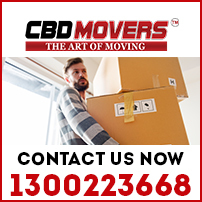 CBD Movers are known for outclass removal services. We cautiously cater to distinct needs of our customers because we know that each client has a different requirement. We are specialized packers and movers who offer comprehensive relocation and moving services in Bayswater. Our “two movers and a truck” services are perfect for office furniture removals, home furniture removals and all other bulky furniture items. CBD Movers are professionals in packing goods and furniture. We use suitable packing material and the boxes of right size and shape to ensure that the items are seamlessly packed and loaded. Whether you are relocating across the street or to a different country or continent, we are ready to serve you with best of our moving services in Bayswater. Our highly skilled professionals removalists are dedicated to serve you with 100% care and safety. Bayswater, a suburb of Melbourne, Victoria, Australia, is approximately 29 kilometers from the Melbourne CBD. Part of the City of Knox, it is spread over an area of 8 square kilometers. Beautiful houses, parks, supermarkets, educational institutes and recreational centers make Bayswater a comfortable place to live in. Currently Bayswater is home to almost 11,000 people. 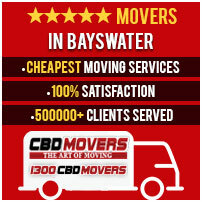 CBD Movers is a professional moving company in Bayswater that offers all sort of customized moving solutions. Our team of removalists in Bayswater is staffed with thoroughly trained, strong, hard work, creative young men and experienced specialists. We are affordable and known for our reliable and safe removal services. We guarantee you a hassle-free relocation. For a free quote, call us at 1300 223 668.